We have been busy this month helping to create a festival and in-bar sampling campaign for Brugal Rum, the number one Caribbean rum distributed by Maxxium UK. The campaign launches this weekend at the Bristol Harbour Festival (29th – 31st July 2011). 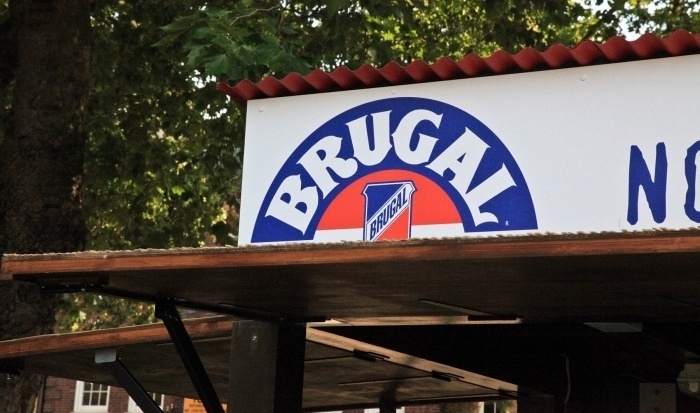 The Brugal Rum Shack will offer festival-goers the chance to sample Brugal Libre cocktails and play dominoes at a pop-up bar, built in the style of a traditional rustic bar from the Dominican Republic – the home of Brugal Rum. The pop-up experience, designed by Because and built by trailer and structure specialists Mobile Technik, will also visit the Bingley Music Festival near Leeds on 2nd – 4th September 2011. Following each appearance of the Rum Shack, Because Brand Ambassadors will run 3 weeks of in-bar cocktail sampling at hand-picked venues around Bristol and Leeds. At both the festival and bar experiences, Brand Ambassadors will chat to consumers about the Brugal Rum story, and distribute leaflets with cocktail recipes and £1 money off vouchers. Consumers will also be invited to enter a text-to-win competition for a trip for themselves and three friends to the Brugal Carnival in the Dominican Republic in March 2012.